Hundreds of thousands of middle earning Scots will miss out on a tax break being handed to those elsewhere in the UK after finance secretary Derek Mackay confirmed yesterday he will not raise the “higher” rate threshold. It means the tax gap between Scotland and the rest of the UK will again widen, with Scots workers on higher salaries facing an annual tax bill hundreds of pounds greater than south of the Border. Mr Mackay insisted 99 per cent of Scots will not pay any more – it is the UK government which is cutting tax. Ongoing austerity cuts and Brexit uncertainty means it is not the time to be handing tax breaks to higher earners, he told MSPs as he set out his budget for 2019-20. But business organisations fear high and middle earning Scots facing the largest tax burden in the UK will discourage talent from moving north. 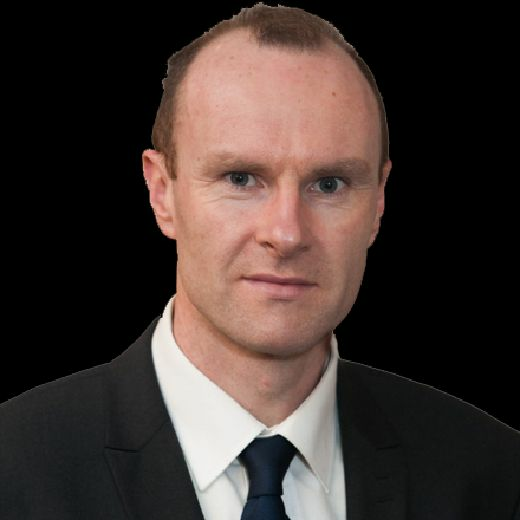 There is even a warning from the government’s own economic watchdog that the tax regime will prompt some high earners to start moving away. The finance secretary revealed the “higher” threshold will be frozen at £43,430 north of the Border, affecting about 367,000 Scots. In so doing he refused to pass on an effective tax cut coming to workers south of the Border who will only start paying this rate at a salary of £50,000 next year after changes unveiled by Chancellor Philip Hammond in his UK Budget in October. In Scotland the higher rate is set at 41p in the pound compared with 40p elsewhere in the UK. Mr Mackay’s move is intended to raise an extra £68 million in revenues for public services. The SNP cabinet secretary defended the move as he unveiled his spending plans for 2019-20 at Holyrood yesterday. “Now is not the time to cut tax for the highest earners at the expense of public services,” he said. But the move is already raising concerns that Scots middle earners now face a higher tax burden than elsewhere in the UK. Scots will start paying more in tax on a salary of £27,000 than UK workers making the same. A small majority (55 per cent) of Scotland’s 2.6 million strong workforce does pay slightly less in tax. The changes set out by the Scottish Government means a £30,000 salary will result in a £30 higher tax bill than south of the Border, but a £45,000 salary will mean an additional bill of £494. And there are also concerns that workers north of the Border caught in the £43,340 to £50,000 will face a tax double whammy as a result of national insurance contributions (NICs). Scots in this bracket are subject to an effective tax rate of 53 per cent – among the highest in the UK – because NICs only drop from 12 per cent to 2 per cent on earnings above the UK higher tax threshold of £50,000. Income tax has dominated the Scottish budget process since the Scottish Government decided to overhaul the system and introduce five tax bands last year. It means Scotland has a significantly different system from the rest of the UK. The Scottish Government also points to the fact that council tax rates are lower on average in Scotland. As well as this, the universal benefits available such as free university education, personal care for the elderly and prescriptions are also popular with Scots, according to polling. 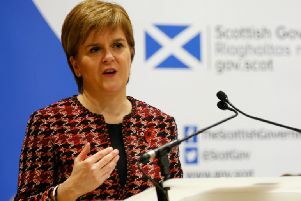 First Minister Nicola Sturgeon hailed the draft Budget as an example of “strong and stable government” and contrasted it with Westminster’s Brexit “shambles”. Ms Sturgeon tweeted that it was “a strong and progressive @scotgov budget in difficult circumstances from @DerekMackaySNP – protecting public services, supporting the economy and delivering fair tax”. Sharon Bain, tax manager at PWc, said: “While it remains difficult to quantify the impact the divergence in income tax will have on attracting talent and skills to Scotland, there also remains a potential headache of tax equalisation for employers, who may find themselves being asked to foot the bill.